In these lessons, students will learn how to read and respond to the text of the play. This will help them to gain crucial close-reading skills. Tasks include: analysing language features in key scenes; reading for the use of humour in the Mechanicals' scenes; and a quiz about the story line, learning how to retrieve information quickly from the text. Do I understand the basic plot and structure of A Midsummer Night’s Dream? In the Student Booklet, there is a story mountain handout with five blank boxes to illustrate the structure of the five act play. Students also have five cards showing summaries of each of the five acts which, they should organise into the correct order. Through feedback, you can elicit students’ reasoning as to the placement of the cards in the five boxes to create the arc of the story: beginning – build-up/rising action – problem – resolution/falling action - ending. By way of an extension activity, you could mix in some sets of cards relating to another Shakespeare play or more than one play. Students could then compare their findings, leading to a discussion of the similarities and differences between tragedies, comedies and histories. Ask students to summarise the plot of A Midsummer Night’s Dream as a mini-saga, and share and compare students’ different versions. Which parts of the play emerge from this exercise as essential to include in your own stage production? This activity could be followed by a discussion in which students try to identify the play’s critical incidents or turning points, justifying their ideas with arguments. Can students agree on three to five key events from the play? Students could then do a dictogloss activity in groups of four. You would read the following text (a short passage from a longer section on cutting the text taken from Fiona Banks’ book Creative Shakespeare) twice. The first time, the students should just listen and then the second time students should make notes as they listen. "It is very rare to see a Shakespeare play in performance that has not been cut in some way. Many Shakespeare plays would run well in excess of 3½ hours if they were not cut. How a play is cut always depends on the type of performance or production. Certainly each director of productions at the Globe will choose different lines to cut. Cuts are always influenced by the type of production that the director wishes to create. Sometimes characters can be cut completely if this serves the story a director wants to tell. There are very few rules; artistic interpretation is what drives the process of cutting." Students could then work in groups of four to reconstruct the paragraph. Finally students could be shown a handout featuring Banks’ advice about cutting a text for performance in full (the passage used for the dictogloss would be marked so that students can check their paragraph against the original). A written summary of the key points of Banks’ advice would be a useful resource for the next activity. Direct students to look at the Script Machine of Key Scenes from the play: 2012.playingshakespeare.org/language. Select ‘Director’s Edit’. Divide students into groups, with each one looking at a different scenes: Act 1 Scene 1, Act 3 Scene 2, and Act 4 Scene 1. Students can see how numerous passages from the play have been cut for one past production. What conclusions can they draw about what has been cut and why? To what extent has Banks’ advice been heeded? What are the main events in the story of A Midsummer Night’s Dream? 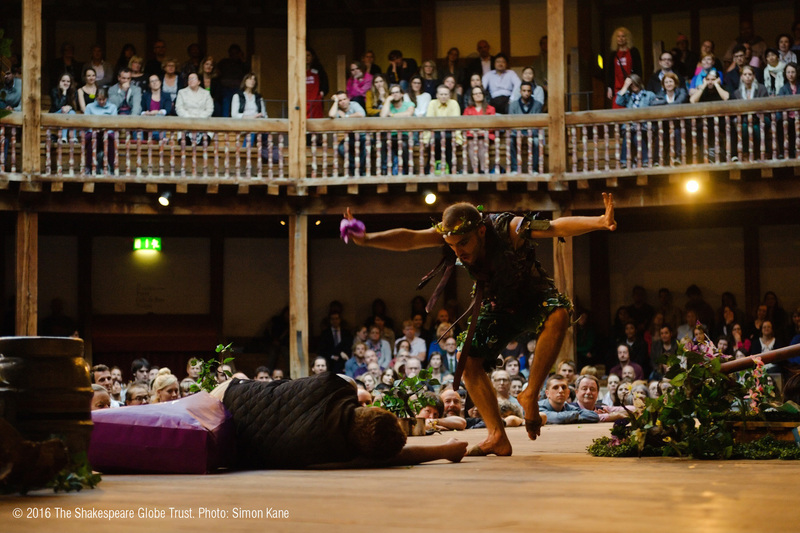 What would audiences most enjoy about a production of A Midsummer Night’s Dream? 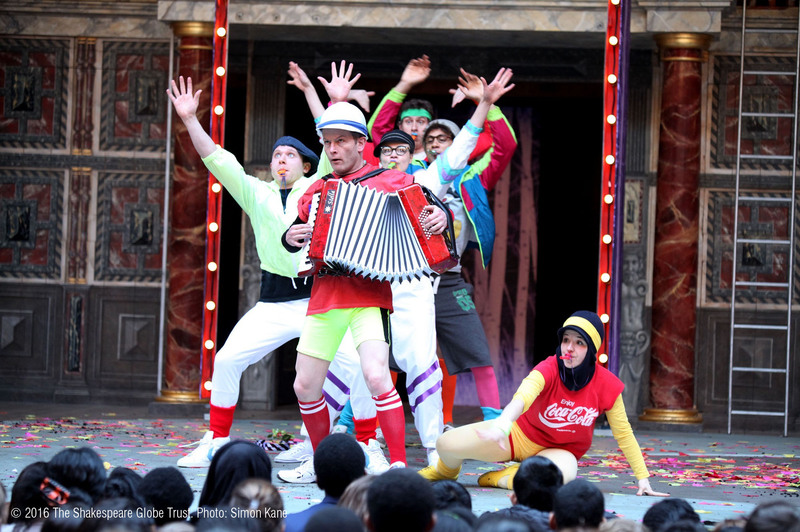 Encourage students to think about what they as an audience member most enjoy about going to see a Shakespeare play/or A Midsummer Night’s Dream specifically, and to distil their thoughts so they are left with just five points, e.g. Compare students’ different ideas and identify any common emerging themes.Within the Key Stage 4 Text in Performance resources, you will find another activity about making changes to the text for a particular production. This quiz about the storyline of A Midsummer Night’s Dream could be a useful tool for consolidating textual knowledge, for retrieving information from the text and for revision purposes. The answers can be found in the Teachers’ Guide in the Downloads section at the bottom of this page. To whom is Theseus engaged? In which city does the play begin? Where do Acts 2, 3 and 4 take place? What is the name of Hermia’s father? What does Theseus say Hermia should become if she will not marry Demetrius? Why is Hermia and Lysander’s love frowned upon? Who says ‘The course of true love never did run smooth’? Who is cast as Pyramus in Peter Quince’s play? Who does Tom Snout play? What is Francis Flute’s trade? Who is also known as Robin Goodfellow? 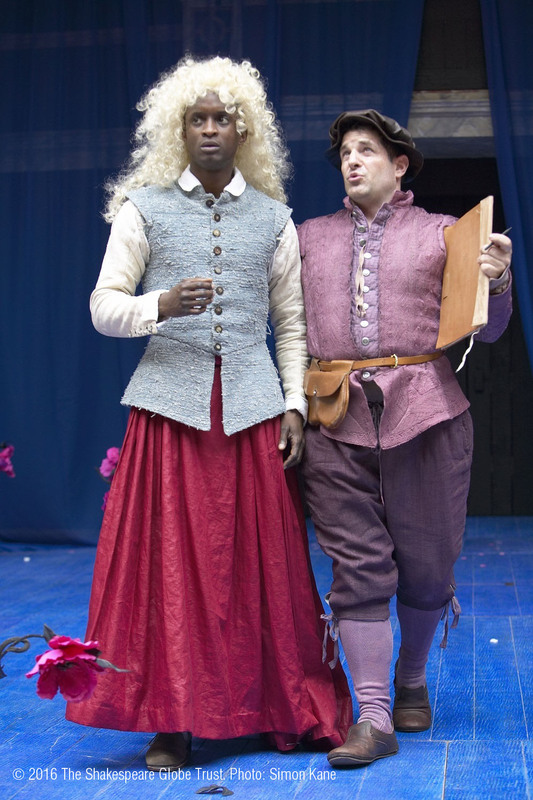 What are Titania and Oberon arguing about? How do Oberon make various characters fall in love? Who are Peaseblossom, Cobweb, Mustardseed and Moss? How does Puck transform Bottom? How does Puck incite Lysander and Demetrius to fight in Act 3? What are Lysander, Hermia, Helena and Demetrius doing when Theseus finds them? Why are the Mechanicals worried in Act 4? What is the name of the ballad that Bottom says he will ask Peter Quince to write? What is the name of Theseus’ Master of the Revels? How many couples get married at the end of the play? Who does Theseus call ‘A very gentle beast’? What does Robin Starveling carry to symbolise ‘Moonshine’? What do Oberon and Titania do at the end of the play? What does Puck ask the audience to do in his final rhyming couplet? Some excellent resources to support students’ understanding of and engagement with the play’s storyline are Anna Claybourne’s prose retelling for the Short Sharp Shakespeare series, James Mayhew’s picture book ‘Ella Bella Ballerina and A Midsummer Night’s Dream’ and the three differentiated graphic novel versions of the play (quick text, plain text and original text) produced by Classical Comics. In Fiona Banks’ book Creative Shakespeare, she describes in detail an approach to retelling and developing your own distinctive version of the story in an activity called ‘Story pictures’. Within the Key Stage 4 Text in Performance you will find another activity about making changes to the text for a particular production. Each student should have a few sticky notes, in two different colours. They should write down positive words and phrases about working with Shakespeare’s language on notes of one colour, and any words and phrases about the difficulties of working with Shakespeare’s language on notes of the other colour. Students could then be asked to stand by the quotation they most agree/identify with. Take some feedback. You could then support the class in collating these into a simple table of two columns or in a slightly more advanced SWOT analysis table (strengths, weaknesses, opportunities, threats). Summarise key findings and stress that the approaches the class will be using are active and fun! Helpfully, Shakespeare often suggests what actors should do in the lines the characters speak. Show students the short extract from Act 3 Scene 1 lines 39 - 66, included in the Student Booklet. Model for students reading the first few lines of the extract, pausing at lines 45-6 when Bottom says: ‘A calendar, a calendar! Look in the old almanac. Find out moonshine, find out moonshine.’ And Quince replies ‘Yes, it doth shine that night’. Thinking aloud, work out what Shakespeare is suggesting here about what the actors should do, i.e. Quince has to find an almanac (which was a printed book or pamphlet), and look up whether the moon would be shining the night they were to perform the play. Ask students to read on to the end of the extract, working out what is happening in the scene and finding more examples of where Shakespeare gives the actors stage directions in the text. As an extension activity, students could read further on in the scene - or in other scenes - looking for more examples. Whether students attempt one or more of these, students’ reflections during and after each activity will support their knowledge, understanding and confidence about applying these insights in practice. The ‘Rehearsal Diary’ section of the Student Booklet is provided for this purpose. Shakespeare uses rhyme very extensively in this play. Students could read the following information about rhyme written by Giles Block, the Globe’s text consultant. 'The play has more rhymed lines than any other Shakespeare play. Almost half the lines rhyme. We don’t focus on these rhyming words as such; what we hear just seems right. Rhymes often end a scene; the right word comes at the right place as a sort of conclusion. Also, rhyme is clever. If you can rhyme with someone else, you’re outwitting them. [Act 2 Scene 2] doesn’t begin in rhyme, but it is in iambic pentameter which Shakespeare used for most unrhymed speech. This has an important rhythm which carries with it the sound of our heartbeat. Titania’s speech is followed by a song – one of the many ways that Shakespeare used rhyme, but far from the only way. The song is followed by a magic spell. Most magic spells rhyme, they seem to need to rhyme for the spell to work. Rhyme is a kind of verbal magic. When two unconnected words make a rhyming connection, it seems to give an added meaning to what is said. The lines of the spell are shorter than iambic pentameter and it sounds somehow unearthly. Examining Shakespeare’s use of rhyme can be active and investigative. It could also lead to some creative writing activities, e.g. writing rhyming couplets using a word bank or rhyming words used by Shakespeare in a particular section of the play, or rewriting a section of rhyming verse as blank verse and considering the effects of the absence of rhyme at the end of the line. Divide students into groups and assigns each group of students an extract, e.g. David and Ben Crystal’s ‘Oxford Illustrated Shakespeare Dictionary’ contains over 4000 Shakespearean words with examples from the twelve most studied plays including A Midsummer Night’s Dream. Students might like to try this matching activity to support their understanding of the language of A Midsummer Night’s Dream. But what exactly do they mean in the play? This is provided in the Student Booklet and in the 'Modern Meanings PowerPoint. Model a close reading and analysis of the first 25 or so lines, being very explicit about the questions you are asking as you explore the text and about what you are noticing about the use of verse and prose. Then closely support students who should work in pairs, applying the same questions to the next 25 or so lines. Finally, pairs merge to make groups of four who apply what they have learned to a close reading and analysis of the final 25 or so lines. Round off this exercise with reflections about the reasons why verse and prose have been used and the effects of these choices. Revise the meaning of the following literary terms: alliteration, repetition, rhyming couplet, simile and metaphor. (The quick activity provided here in the ‘Aside’ helps to gauge students’ prior knowledge in this area.) There is a glossary page in the Student Booklet for students to record the meanings of these words. For this activity, students need access to the Script Machine on the Playing Shakespeare with Deutsche Bank microsite for A Midsummer Night's Dream: 2012.playingshakespeare.org/language. They should access them on five different screens, e.g. on tablets or laptops, or at five different stations in a computer room. Students need to work in groups and each group should be assigned one of these five features or pair of features: alliteration; repetition; rhyming couplet; similes; metaphors. Groups should move in a carousel, visiting each scene and using the Script Machine feature to identify examples of their particular feature or features. (The scenes are Act 1 Scene 1, Act 3 Scene 2 and Act 4 Scene 1.) Now ask students to select one of the scenes and to carefully read that scene in its entirety. Students should move their discussions on to the effect of the techniques used in the context of the particular scene. How does Shakespeare use language ‘badly’ to convey the poor quality of Bottom’s acting in the play-within-a-play? Students could investigate this using the extracts in the Student Booklet, alongside your modelling analysis of the first example. Students could then work individually to write their own ‘bad’ version of part of the story using the same stylistic features, including repetition, mispronunciation and malapropisms, and bombast. Pick an example of a technique from a particular passage and explain its effect. Use the ‘pose – probe – bounce’ technique to help students extend their answers and build on each other’s. Look for examples in these quotations of the following techniques: alliteration, metaphor, repetition, rhyming couplet, simile. ‘Methinks I have a great desire to a bottle of hay: good hay, sweet hay, hath no fellow’. Students might like to investigate where else in his plays Shakespeare portrays actors and gives advice about what constitutes good and bad acting. Hamlet’s advice to the travelling players in Act 3 Scene 2 is a good place to start.